It was no easy task to put into execution the comprehensive renovation of the “old hospice” at Gotthard Pass, with an altitude of 2106 m. An addition to the logistical and seasonal challenges was another important task: finding a suitable heating system that guarantees extraordinary operating safety, even in problematic weather conditions, and is extremely environmental friendly given the surroundings that are worth protecting. ELCO provided the solution. Today, a state-of the-art heating system provides comfortable heat and a cosy feel at the “old hospice” at all times. The new system also provides the hotel with reliable hot water (even at peak demand times) and guarantees an 8 °C reduction of heating during the six-month seasonal break. 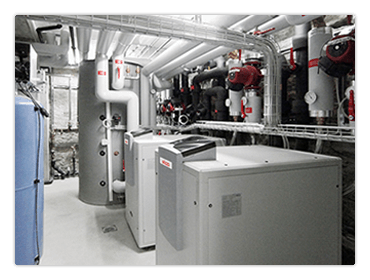 These challenging tasks are executed by the two AQUATOP T30 heat pumps by ELCO combined with a buffering tank and a processing water tank, each containing 1,000 litres. This entry was posted in Allgemein on 10. October 2013 by admin.